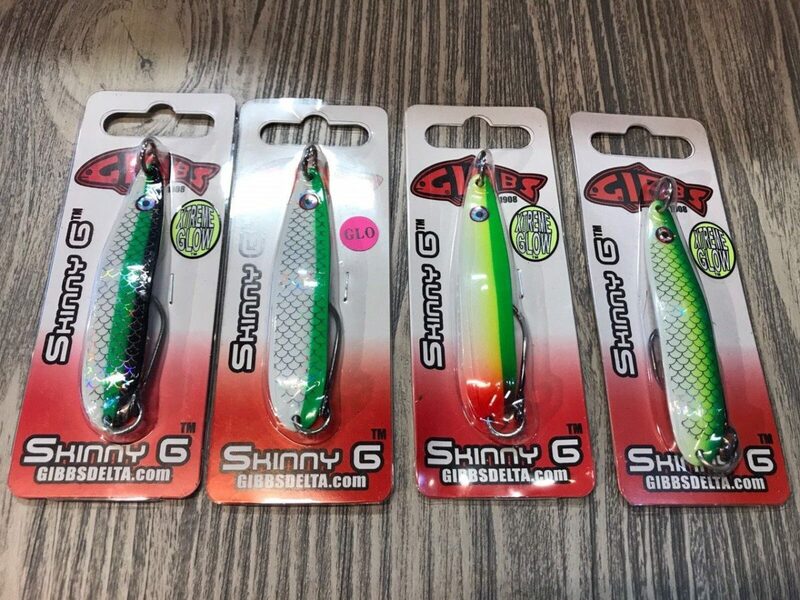 These Skinny G spoons are a must have for local winter chinook fishing. It’s a winter wonderland out there today so it might be a good weekend to tie leaders and get ready for when the weather finally warms up. On the other, if you are a diehard the forecast for the winds doesn’t look too bad for this weekend and the colder weather definitely keeps the crowds down. The fishing continues to be steady, with consistent action in Howe Sound, Vancouver Harbour and Gulf Islands. As usual, the fish are moving around a lot, with one day only some small fish and the next day mostly keepers. It is a highly variable fishery so the best thing to do is just go when you can, as even a report from the day before doesn’t mean much for the next day.